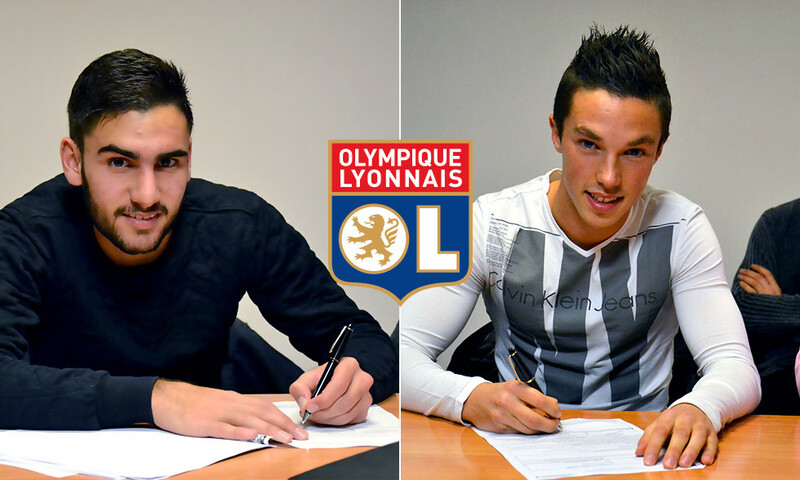 Olympique Lyonnais is delighted to announce that Romain Del Castillo and Maxime D’Arpino have signed their first professional contracts with the club, to take effect from 1 July 2015 through to June 2019. Having joined OL in June 2012 from partner club FC Lyon, Romain Del Castillo made his first team debut in Week 14 of the current season, away to Nice, coming off the bench for the final 25 minutes. At just 19 years of age, the young midfielder has been one of the stars of the U19s Youth League campaign, as the side looks to qualify for the knockout stages this Wednesday, away to Valencia (14:00). "Everything has happened very quickly. I'm very happy that all my hard work over the past few years is paying off. Not only have I signed my first professional contract, but I will never forget that first match with the pros, despite the loss to Nice (3-0)." Maxime d'Arpino joined OL in 2005 at just 9 years of age and is a pure product of the Lyon academy. A France U19 international (3 caps), the young midfielder spent preseason with the first team at Crans-Montana and was also in the squad for the Emirates Cup in London last July. "This is a great moment for me and my family. I'm on cloud nine! I have been at this club for ten years and this signature is a reward and also a great satisfaction. Now I can keep progressing." Olympique Lyonnais is very happy to have signed these two young players and confirms its commitment to developing the club's sporting results on young players from the academy.